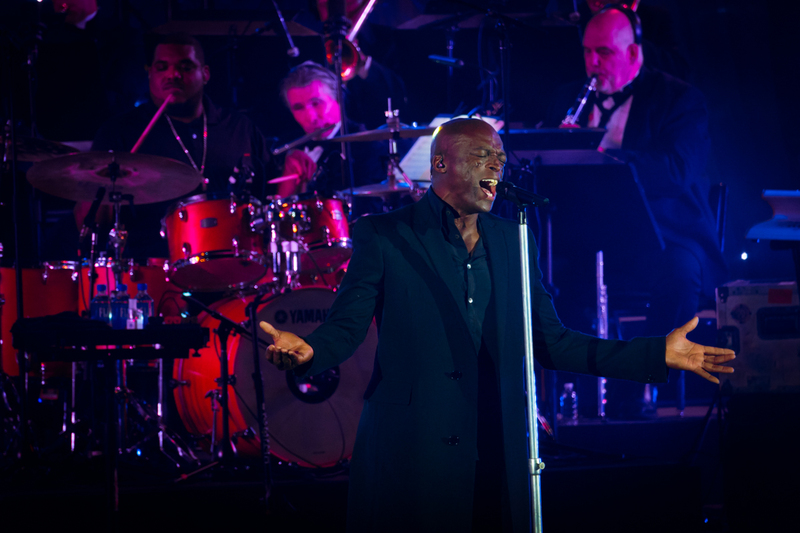 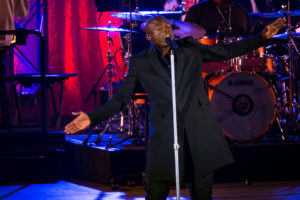 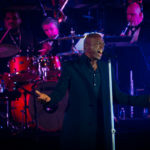 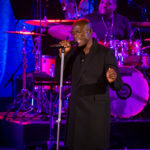 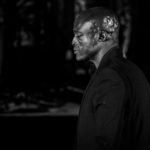 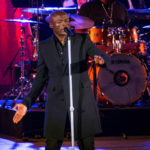 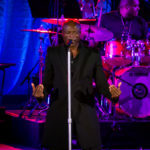 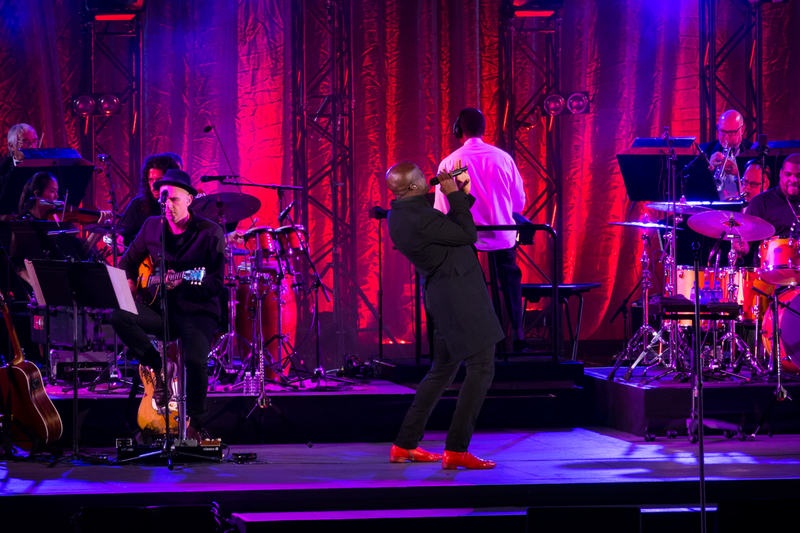 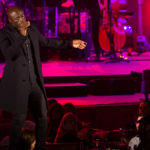 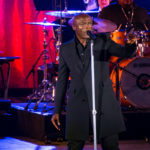 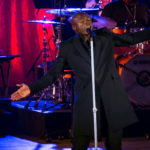 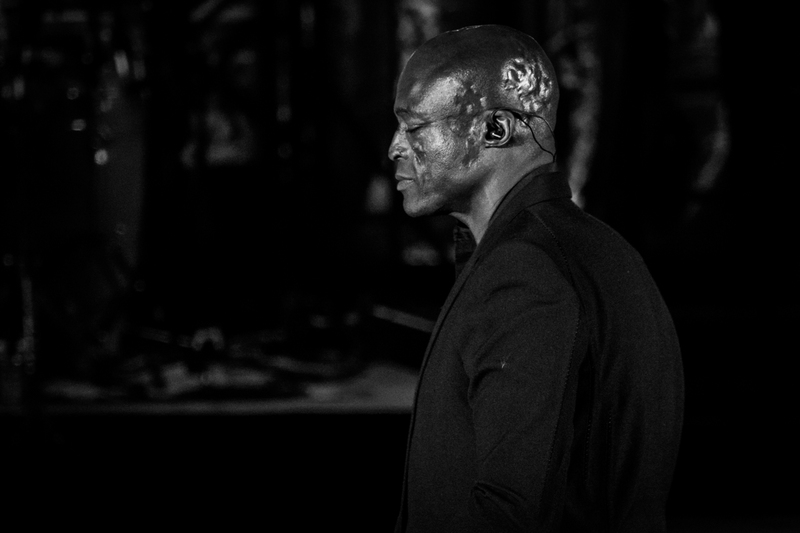 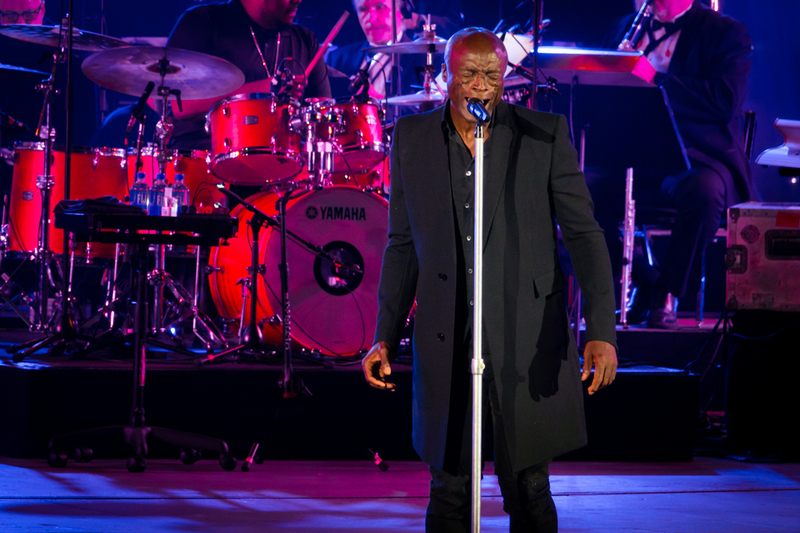 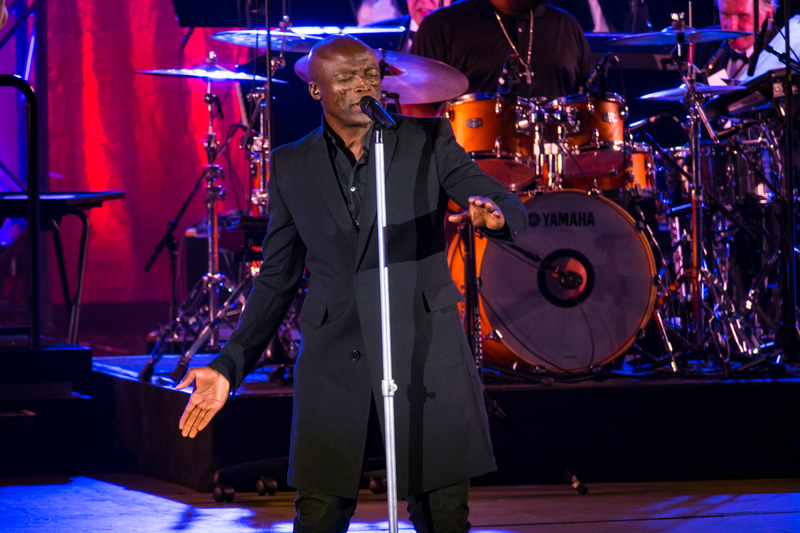 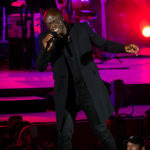 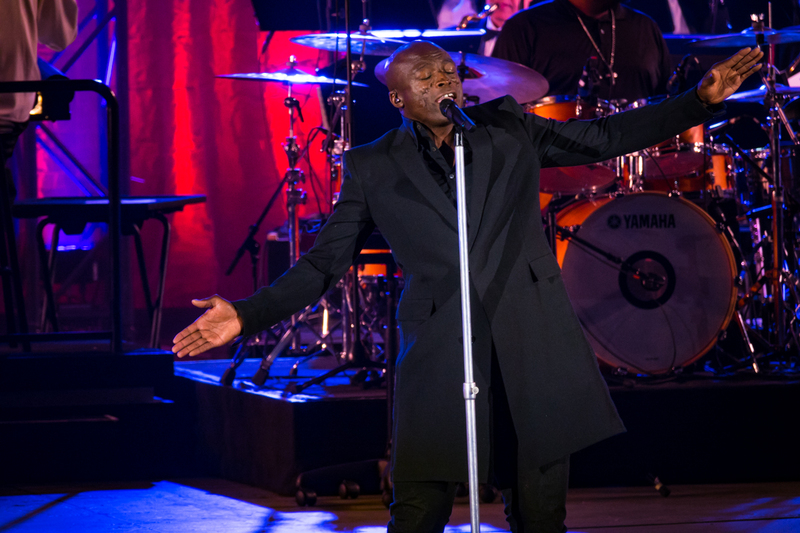 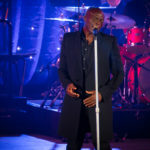 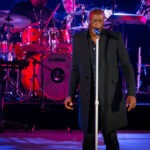 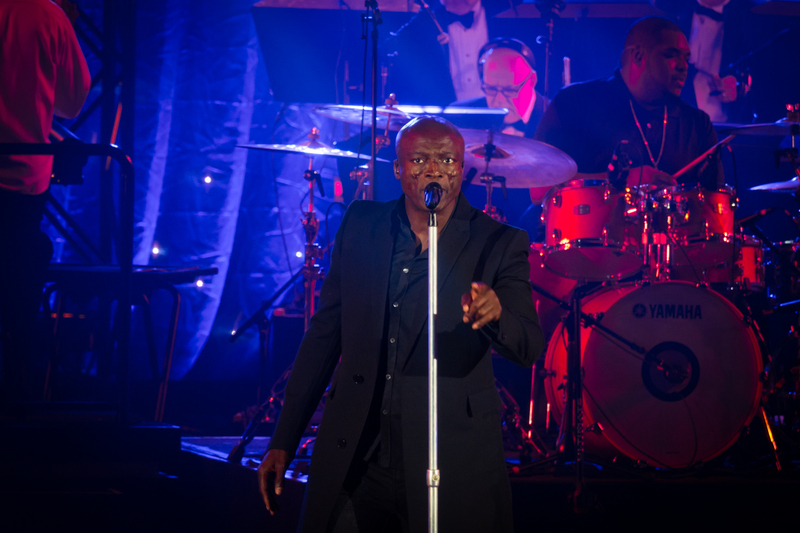 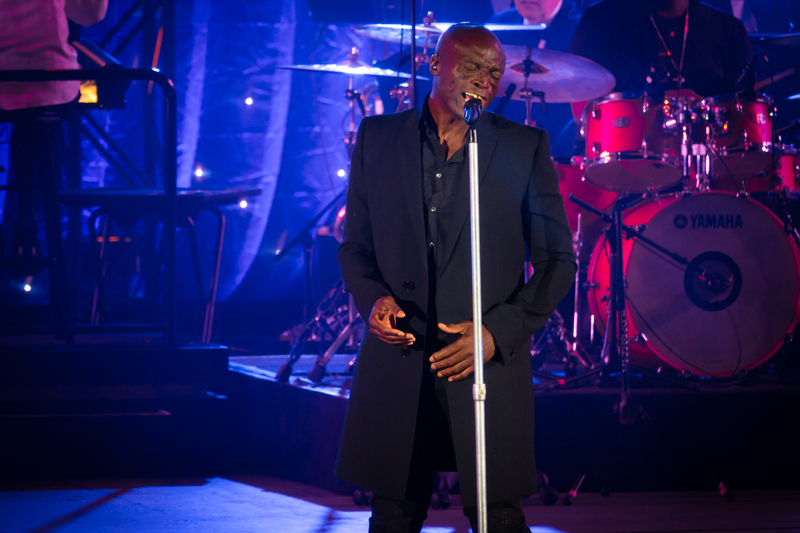 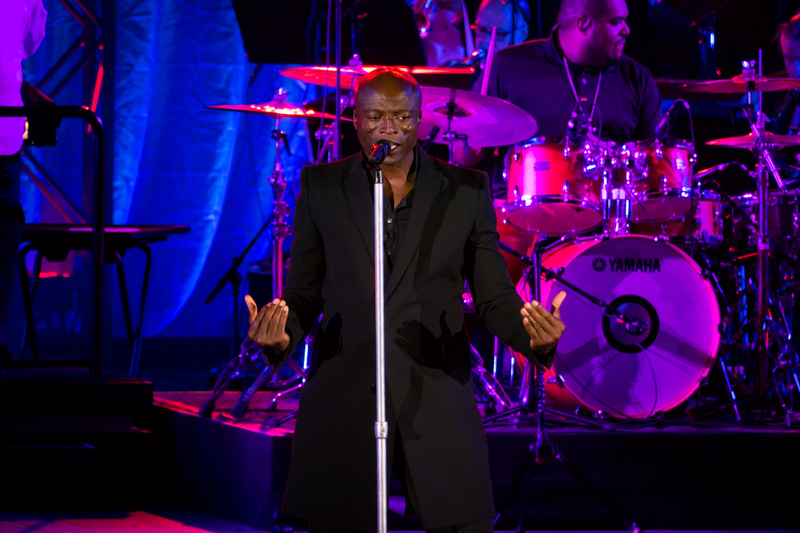 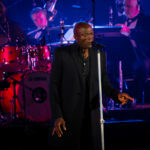 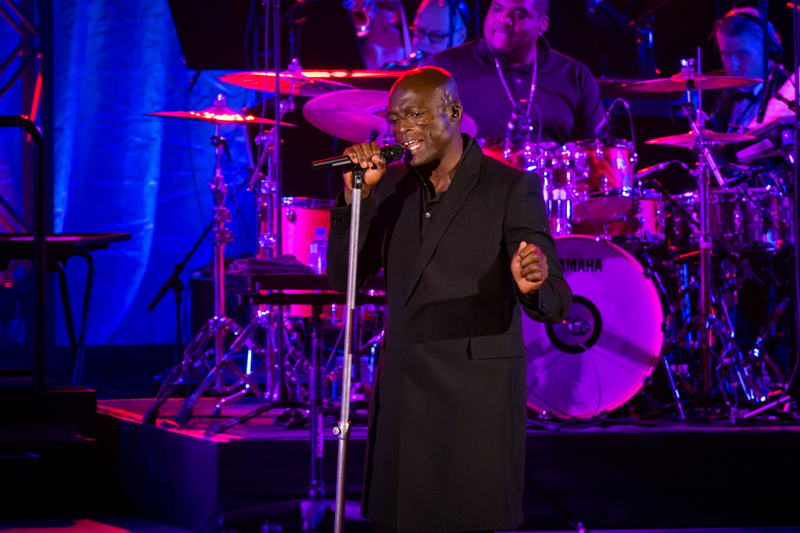 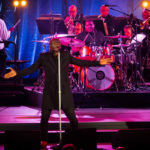 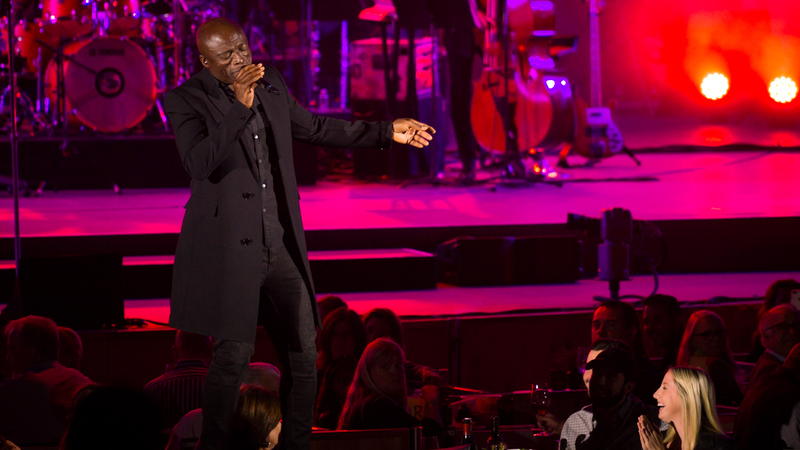 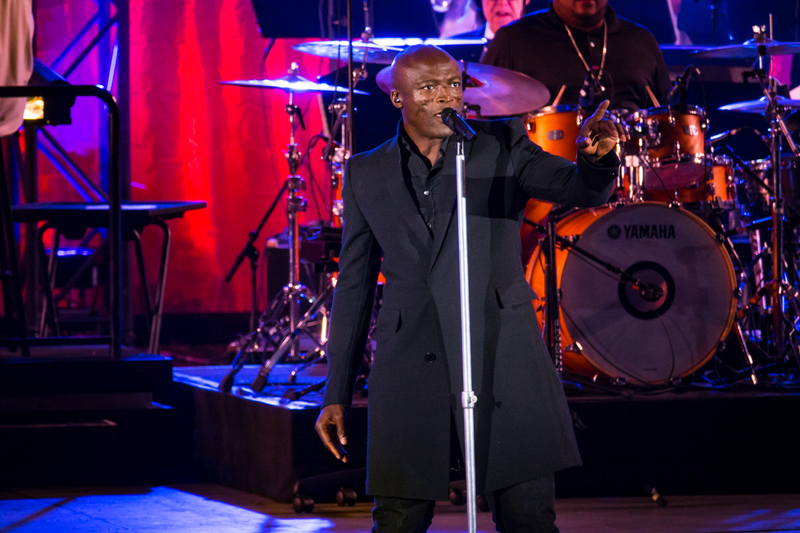 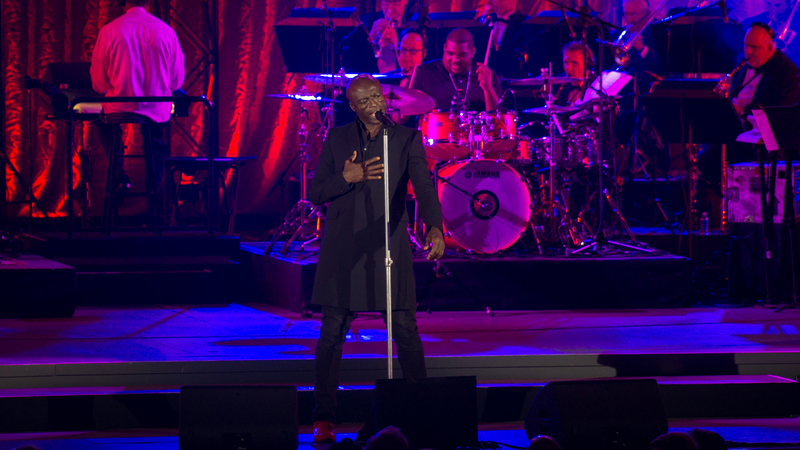 Late last year Seal released Standards: a new album of old classics. 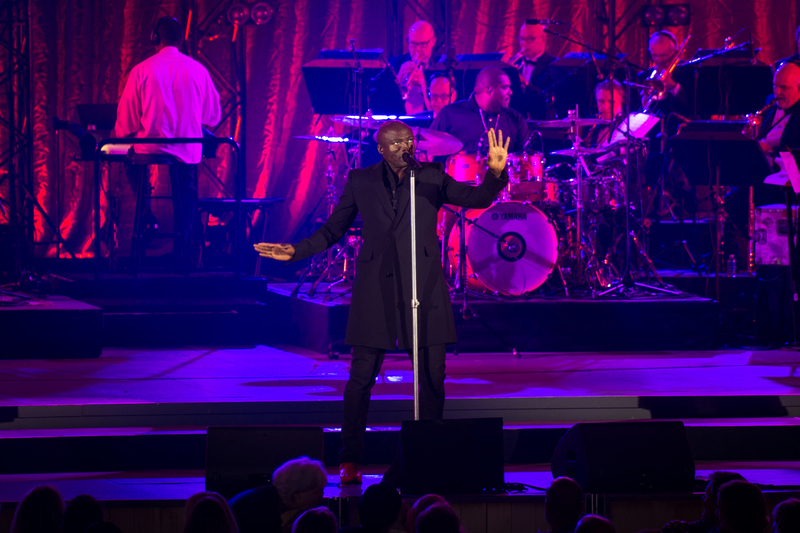 Those timeless melodies, early era jazz favorites, and Rat Pack staples that many of know and fondly love. 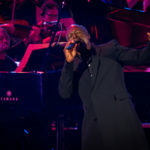 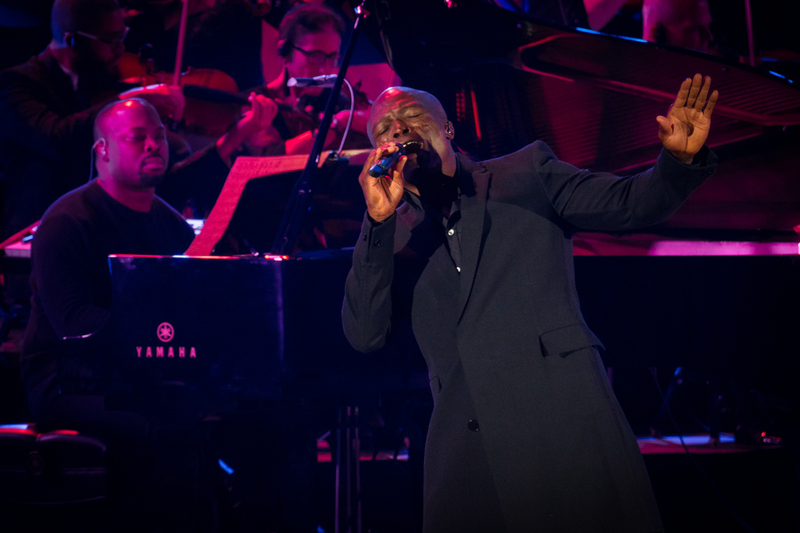 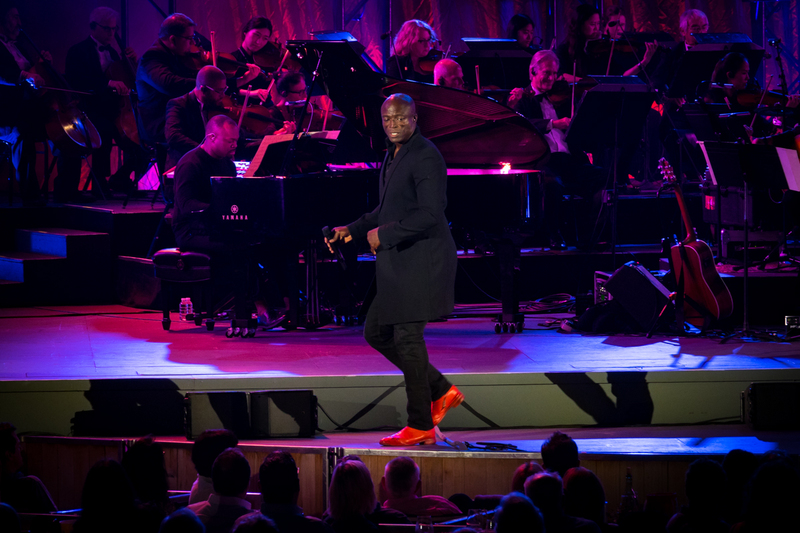 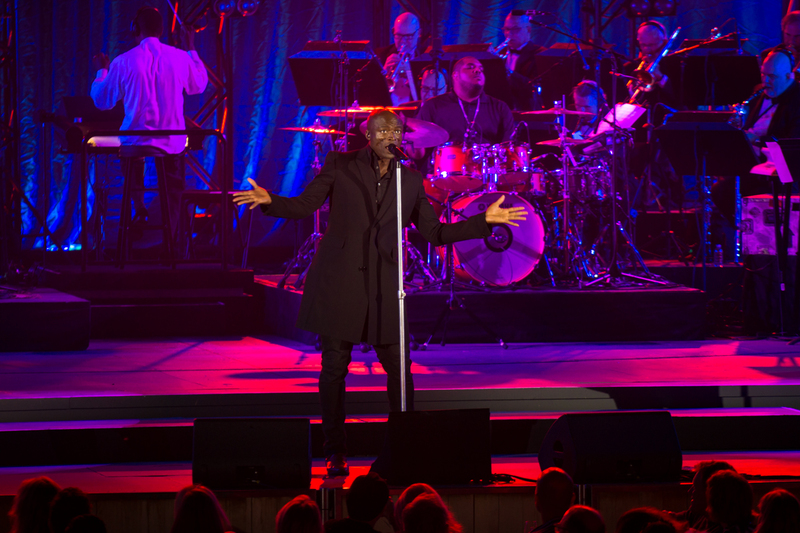 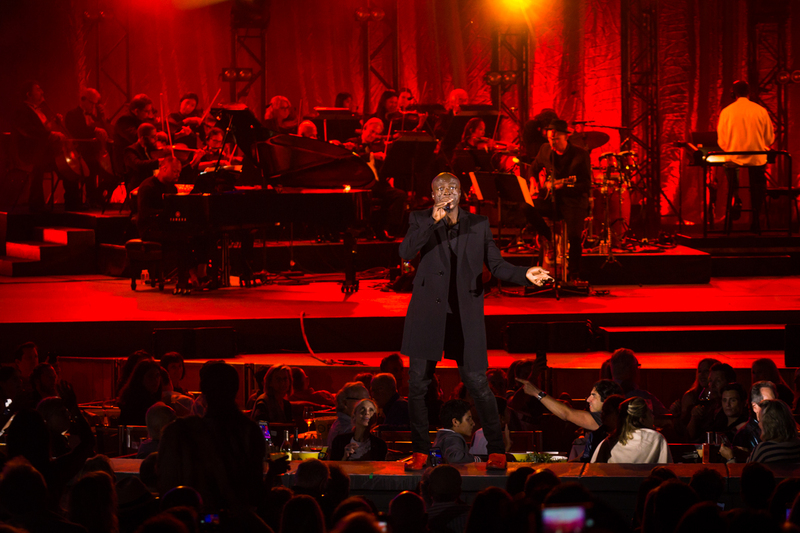 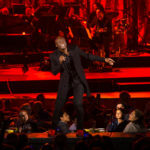 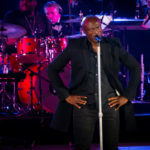 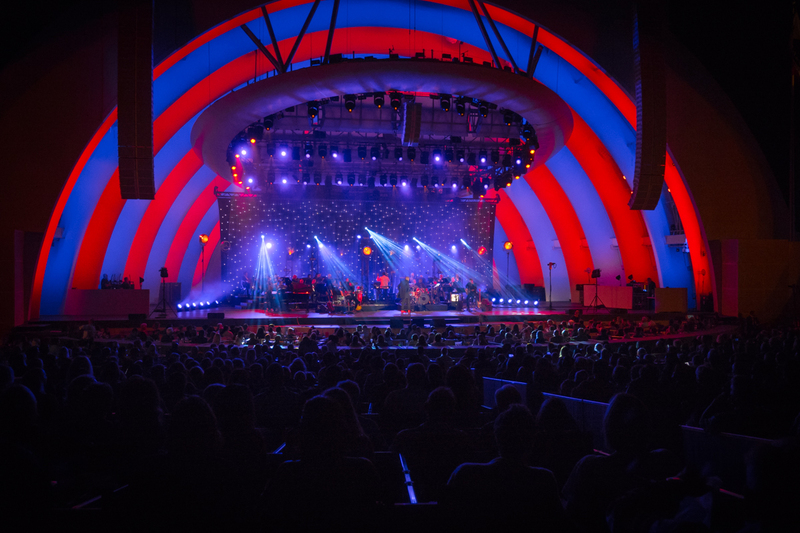 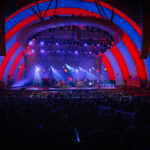 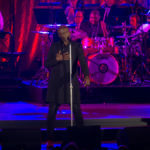 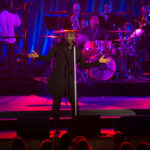 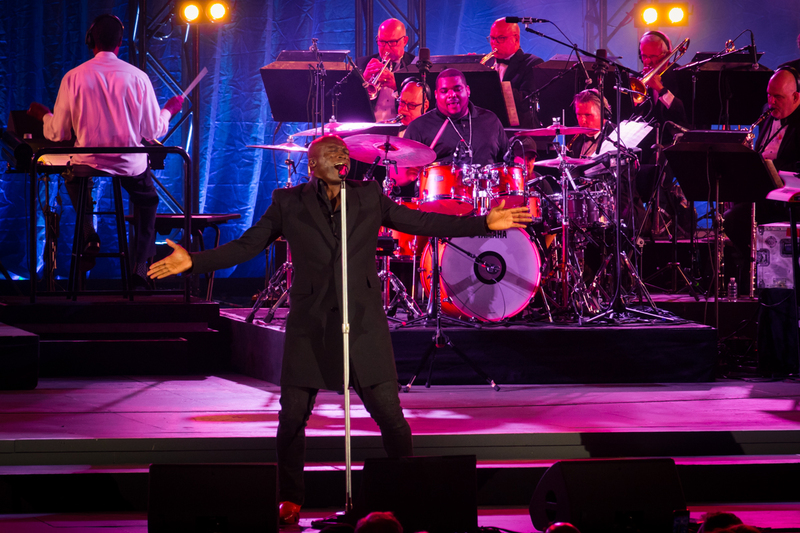 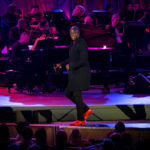 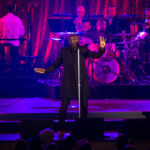 On Wednesday night he and the Hollywood Bowl orchestra transported the full house to another era with a delightful full night of those familiar tunes. 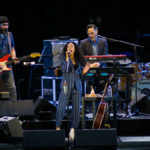 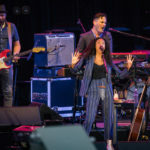 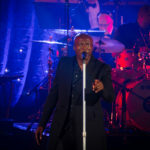 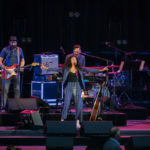 The set opened with “Luck Be A Lady” and “I Put A Spell On You” as Seal sauntered through a bunch of croony classics before unleashing “Kissed By A Rose” and a few other well-known originals and fun covers like “Fly Like An Eagle” thrown in the mix. 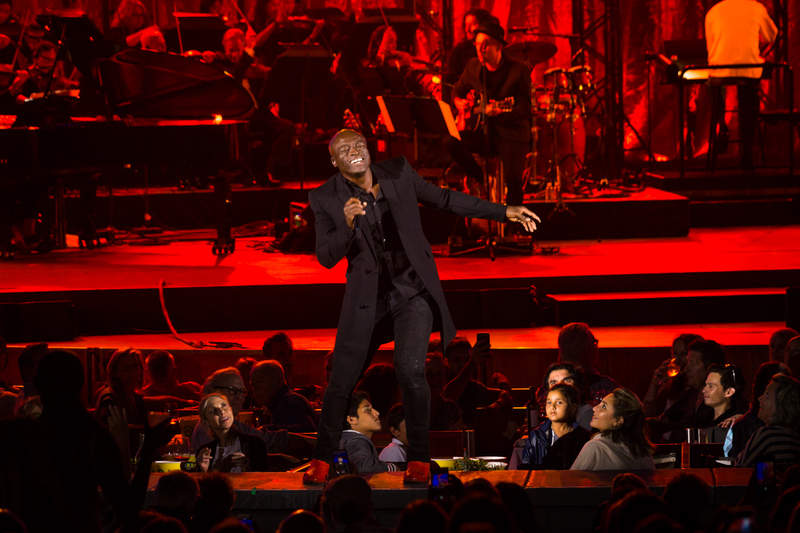 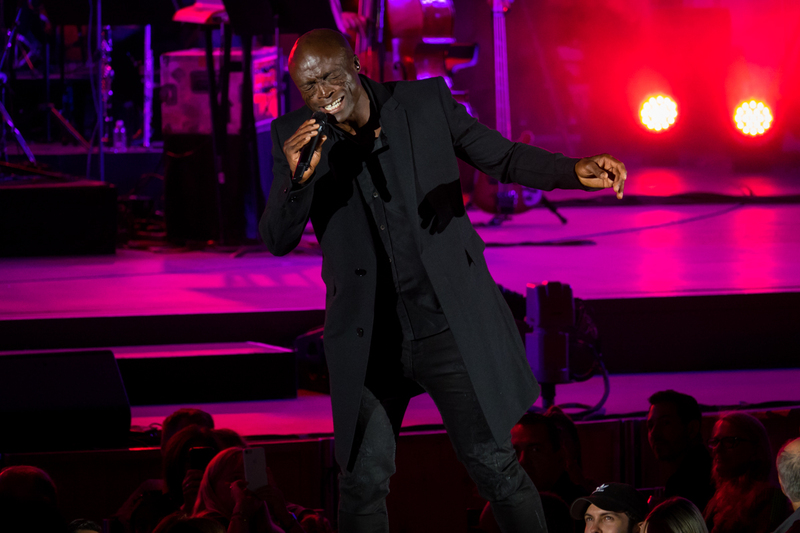 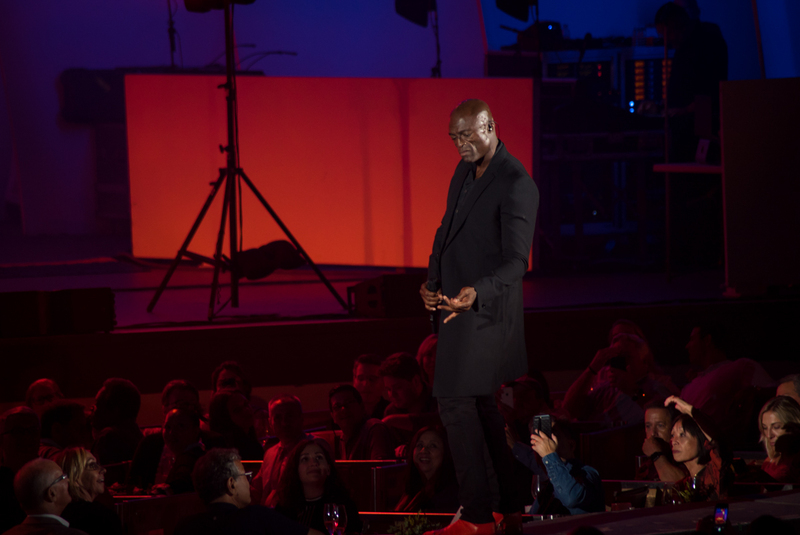 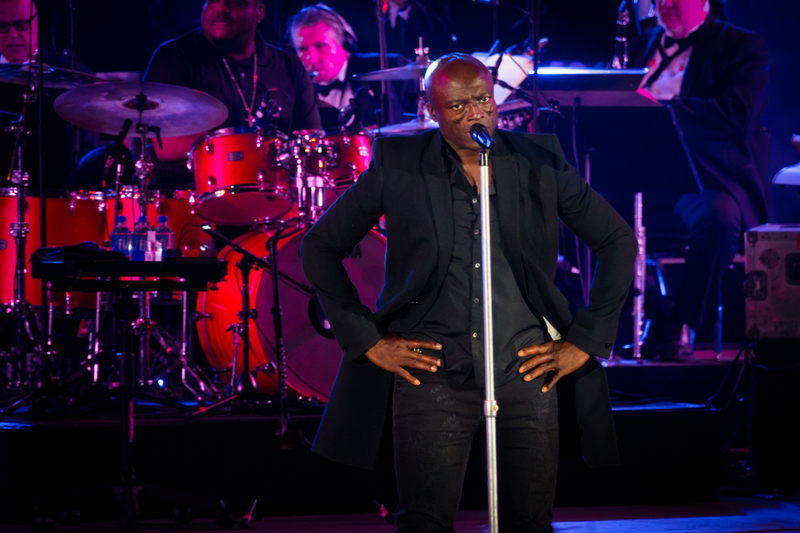 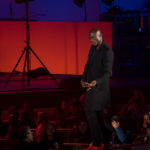 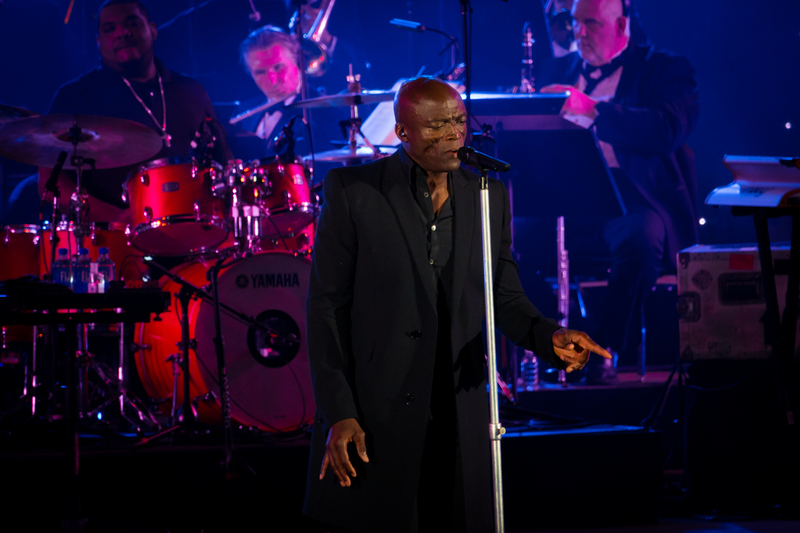 Mid-set Seal thanked some special people in the audience: his daughter (whom he was doing his best to embarrass as she sat front and center) and Joni Mitchell (also in attendance) whom he credited with being one of his first inspirations. 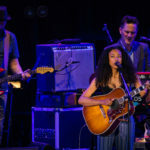 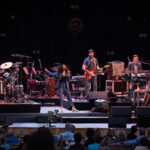 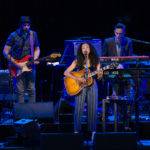 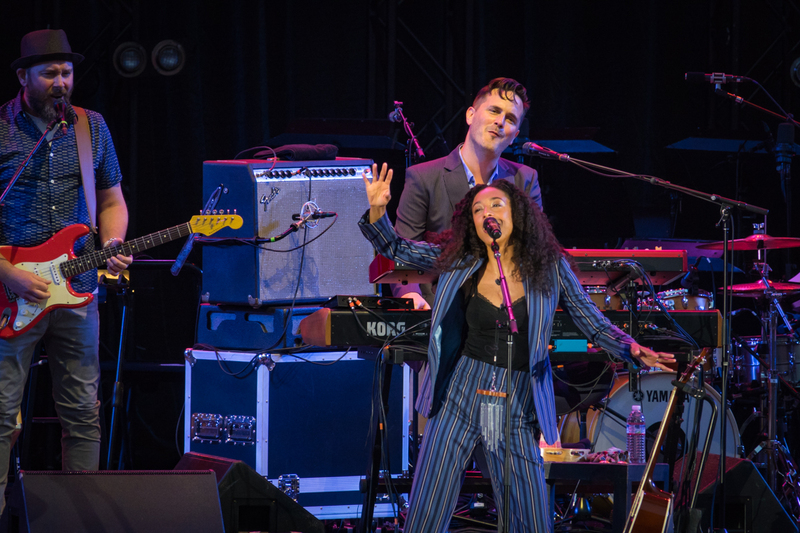 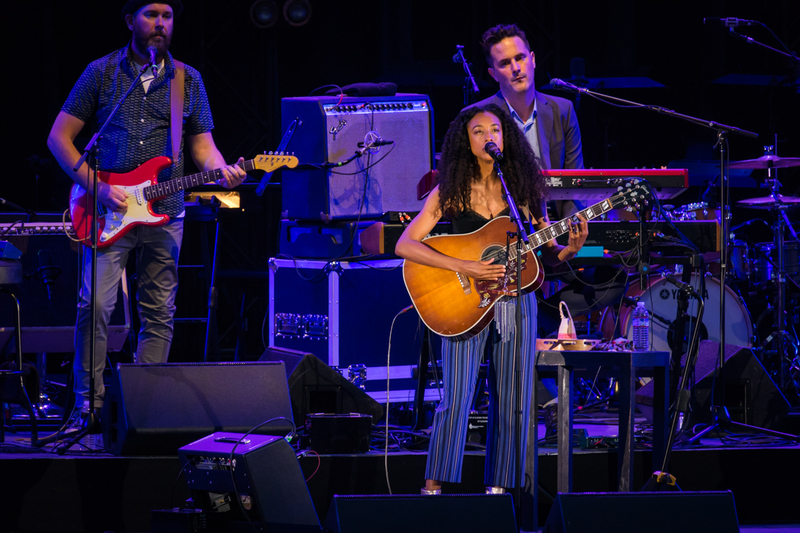 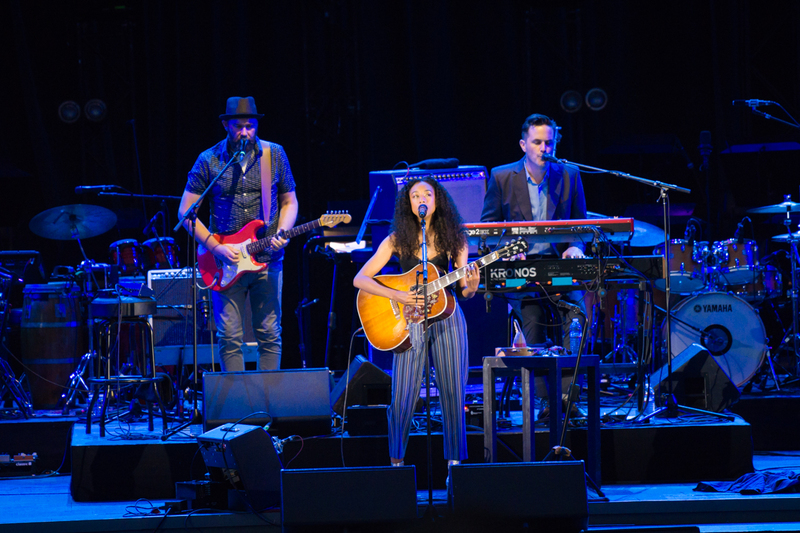 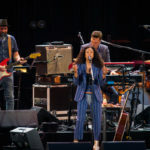 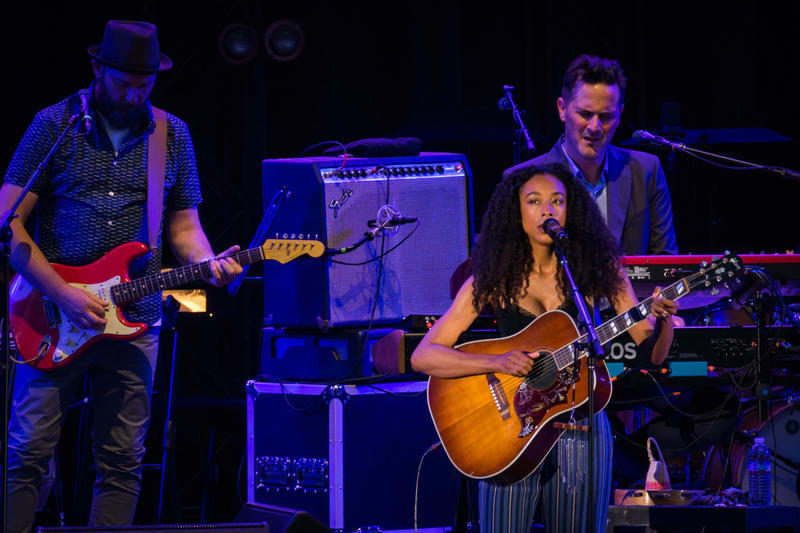 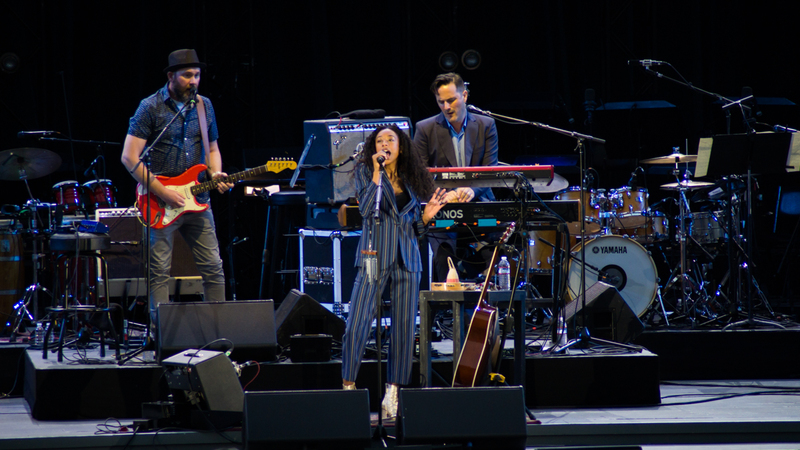 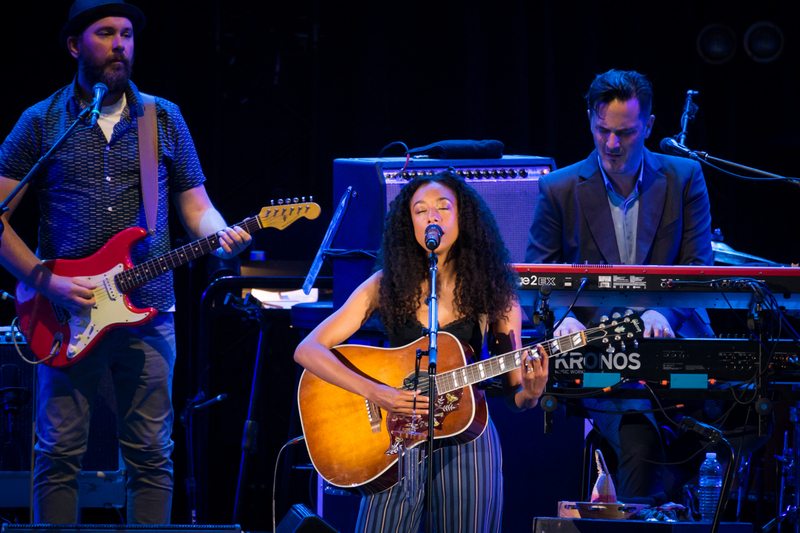 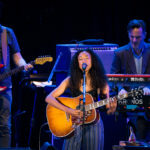 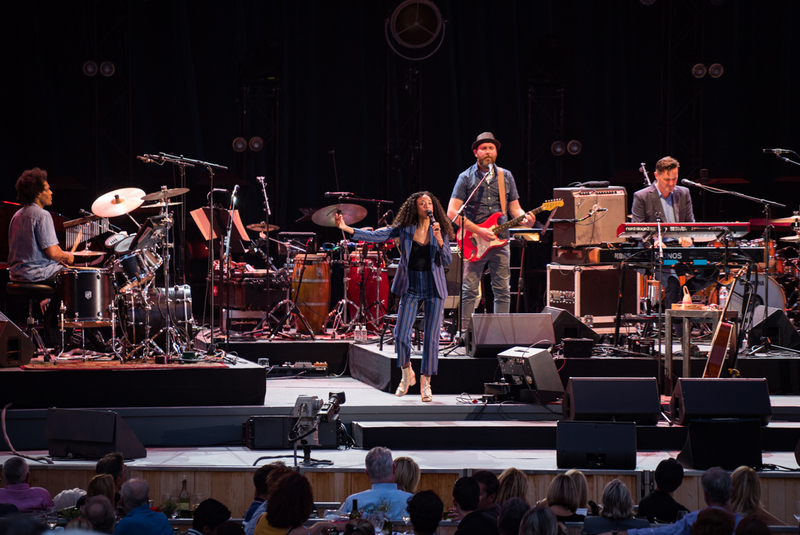 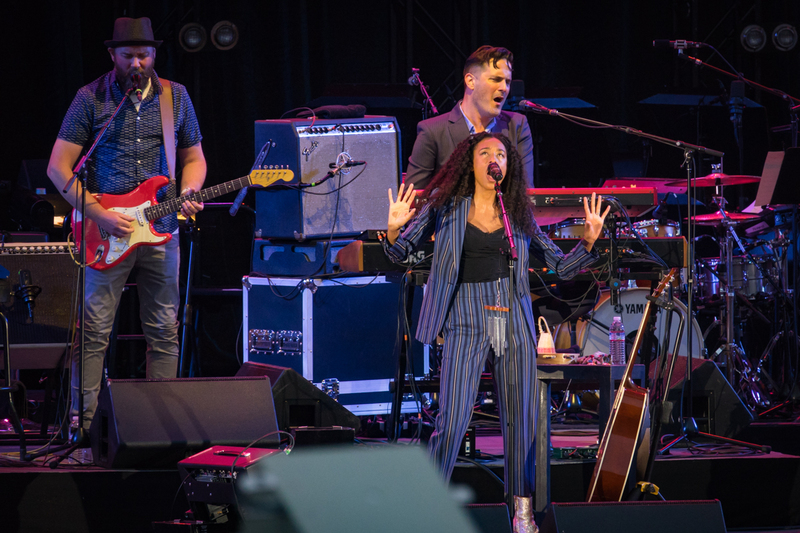 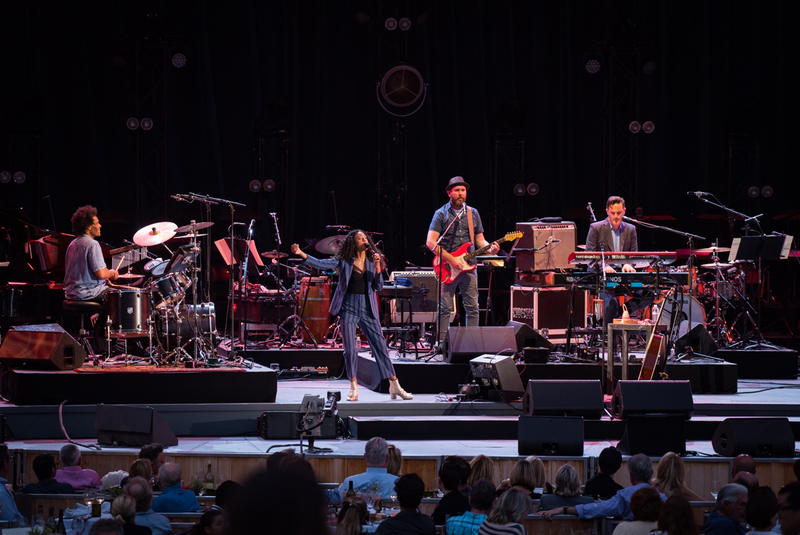 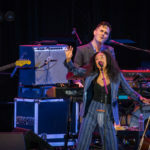 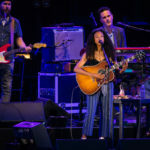 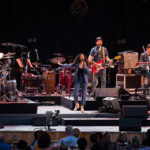 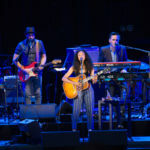 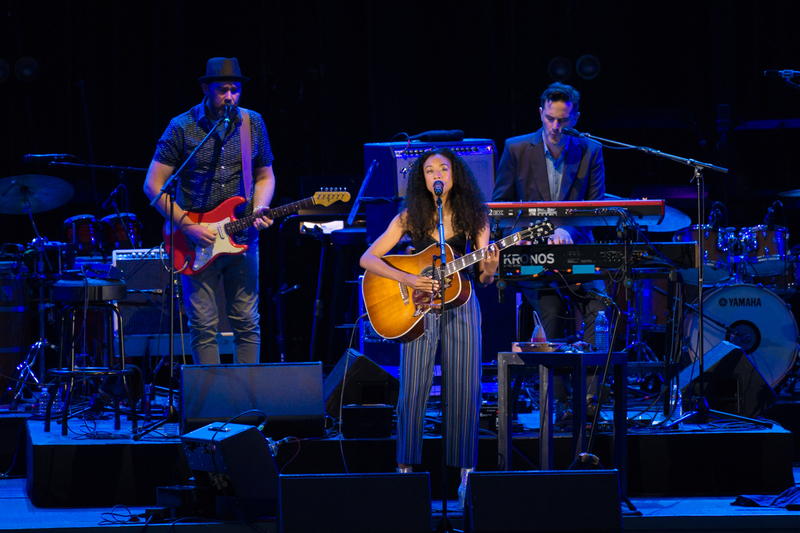 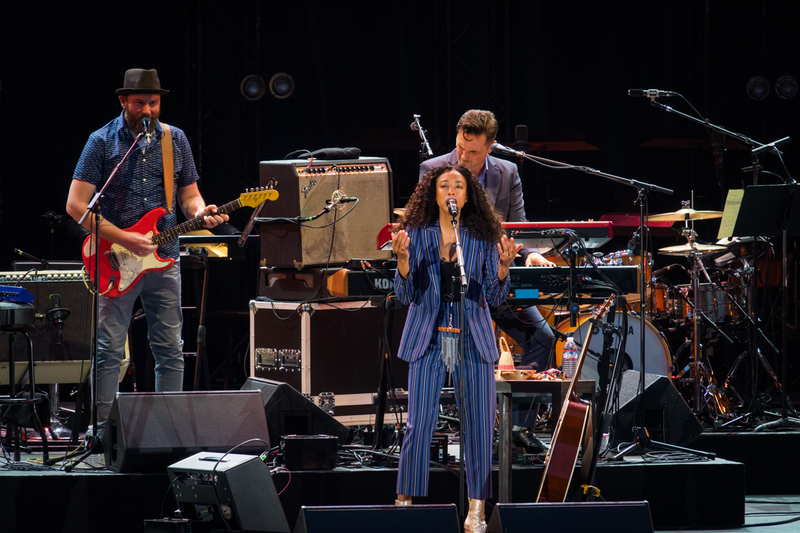 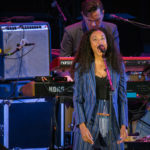 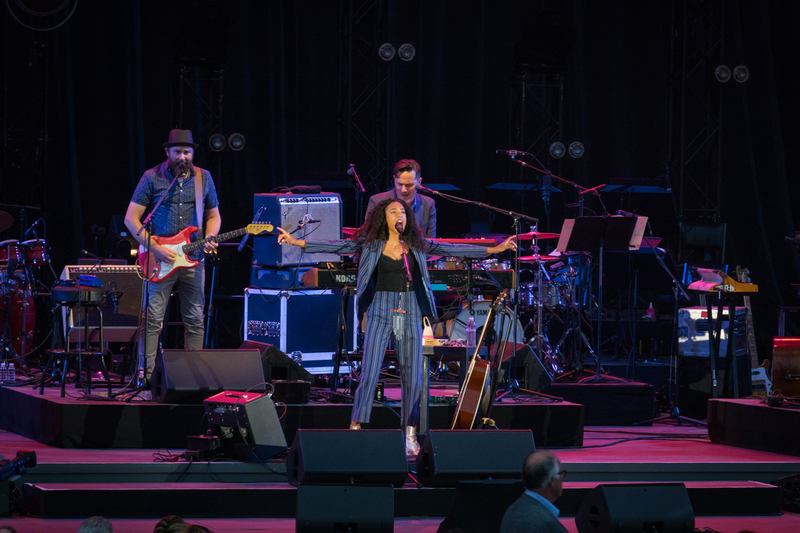 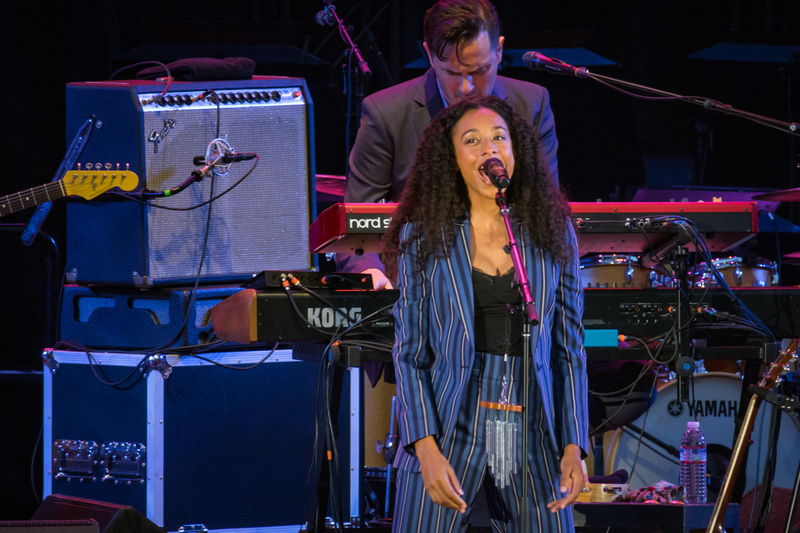 Opening the show was the lady who wants every girl to “Put Your Records On,” the queen of chill, Corinne Bailey Rae.